Live music every Thursday at the ROSS Bay Pub. 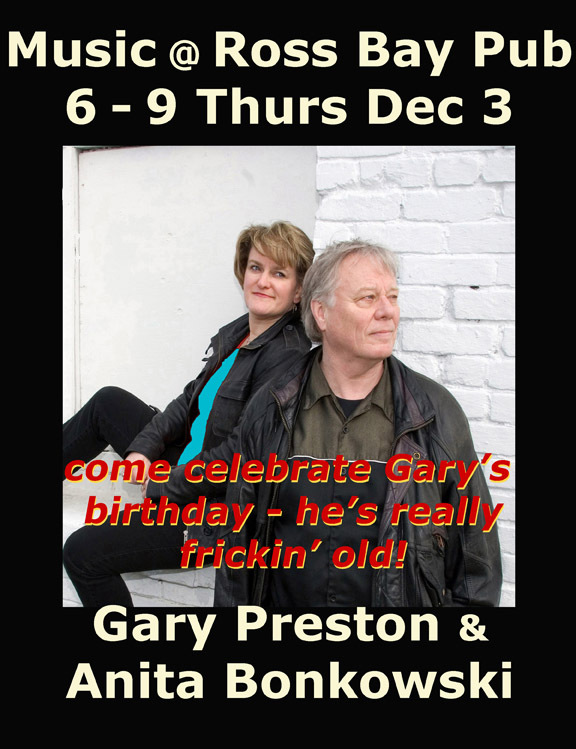 On Thurs Dec 3 , music by Gary Preston & Anita Bonkowski. 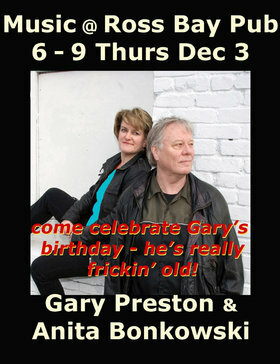 PLUS a birthday celebration for Gary.